1. Am I being offered a set monthly fee or is this a promotional fee that changes after a certain period? If it’s a promotional fee, how far along in the training process will the student be when it changes? 2. How many classes do I get to take per month for the fee I’m being charged? 3. Does the school offer discounts for multiple family members? 4. How often does the school conduct belt testing and what’s the charge every time? 5. What uniforms and/or equipment will I be expected to buy? How much does the school charge for these? How soon do I (or my child) need to have these in order to participate in classes?. special fees (i.e., coaching fees) that the school charges? Traditionally, masters were dedicated to passing on the martial arts tradition to the best of their ability. They taught out of a love for the art, not a desire to profit from their expertise. 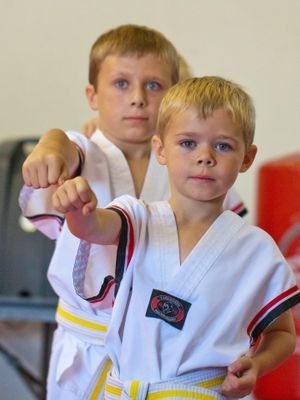 Over the years,however, as the martial arts have become more popular, it has become difficult to separate the schools dedicated to passing on the best of the martial arts tradition from those who see martial arts training as a money-making opportunity. Many people are lured inside the doors of a school by special price offers--but once training starts, they discover that what they get isn't quite what they expected when they signed up. That great price might cover only one class per week--which is really not enough to make significant progress in the martial arts. Or the class choices may be limited. Many schools delegate training of their color belt students to an instructor who has a black belt, but is actually still receiving training at that school and is not a full master him/herself. In order to get a higher level of training that produces the results they're looking for, students might need to sign up for something extra that they didn't know about when they started their training. Getting your facts and figures about a school's pricing policies will help you avoid a case of buyer's remorse later. At Choe’s Martial Arts, our commitment to bring tradition back into the art extends even to our pricing structure. Master Choe wants to make it possible for all his students receive the best possible martial arts training without having to pay an exorbitant price to do so. While we may not have the lowest prices in town, we don't charge the highest prices either. And more importantly, our students and their families can rest assured that they are receiving high-quality training and top value for their dollar. Students can take an unlimited number of classes each month from Master Choe himself for a fixed fee, and we offer special family rates. We are willing to disclose our prices up front and we do not have hidden fees. 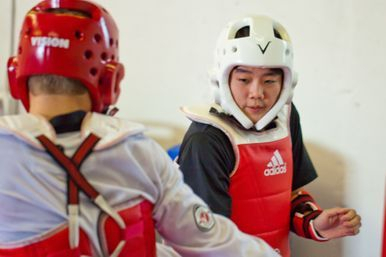 Students will need to buy protective gear when they are ready to begin training in Olympic sparring (usually when they reach Orange Belt). They will not need to purchase weapons until they reach the Black Belt level. Students who participate in tournament competitions will pay registration fees to the tournament host. The cost to have Master Choe present to coach at a competition (ex: registration fees, hotel expenses if overnight stay is necessary) will be split between the students participating in that tournament.